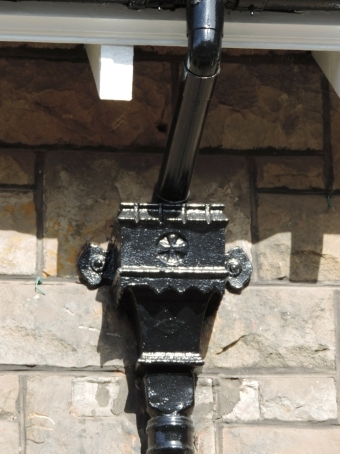 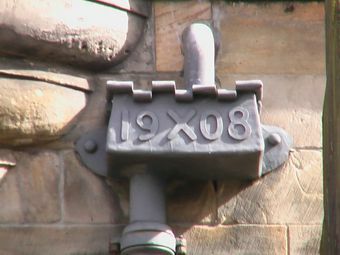 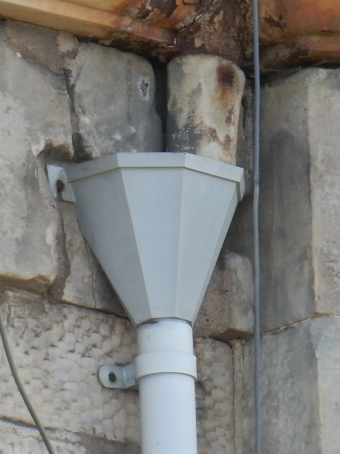 More specifically rainwater hoppers are used to increase the flow of water in a drainpipe in heavy rainfall. 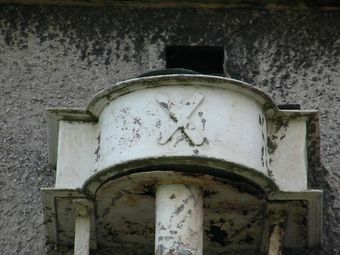 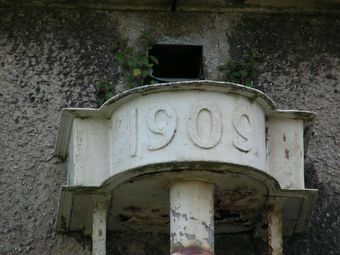 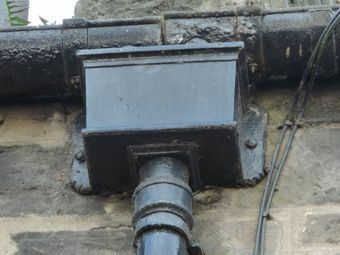 Pipes usually run only one-third full but the use of a hopper allows it to run at full capacity due to symphonic action. 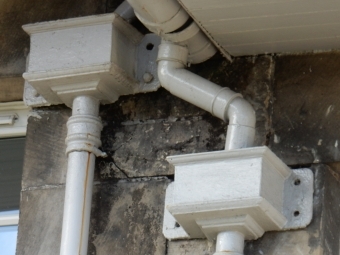 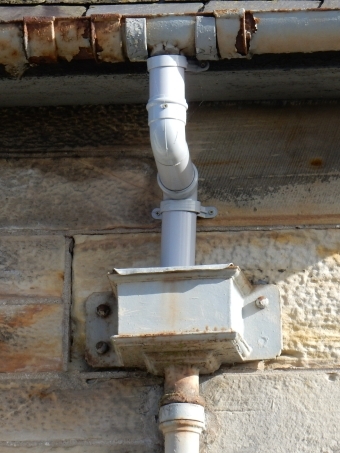 The hopper acts as a reservoir of water above the downpipe and will also allow more than one pipe to fill the hopper, such as pipes leading from bathrooms and gutters. 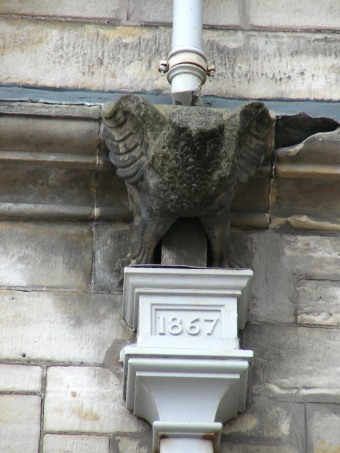 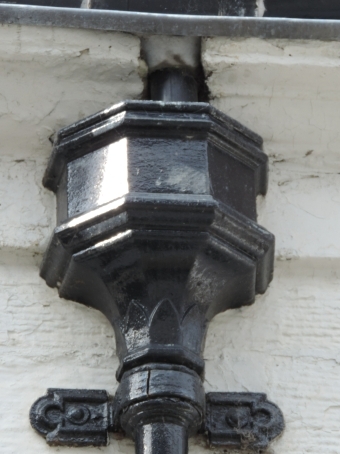 Hoppers were very popular in Victorian houses and can be very ornate architectural features embossed with patterns, shapes, animals or dates. 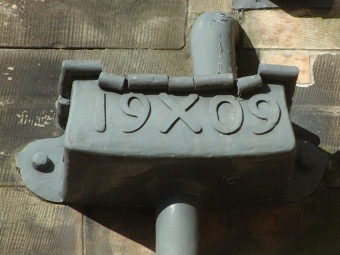 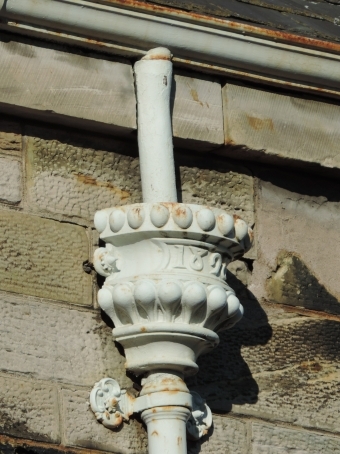 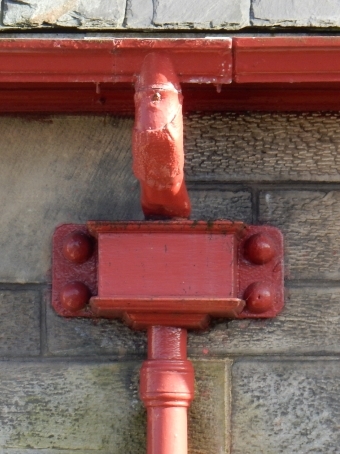 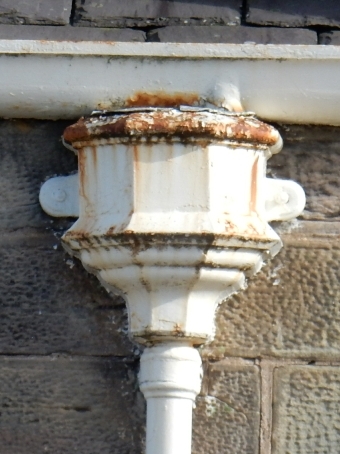 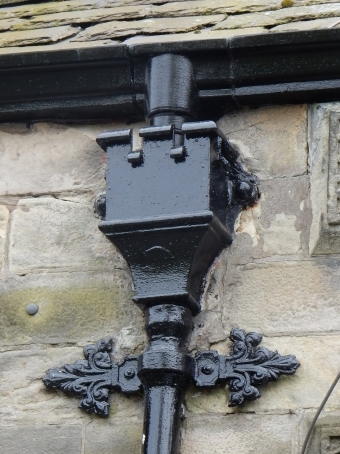 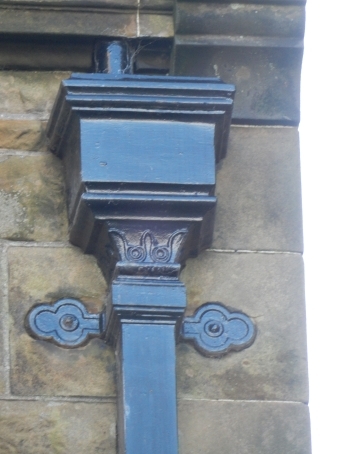 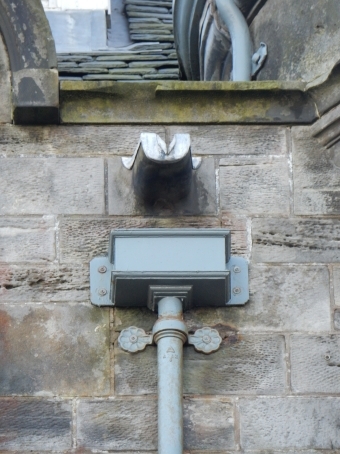 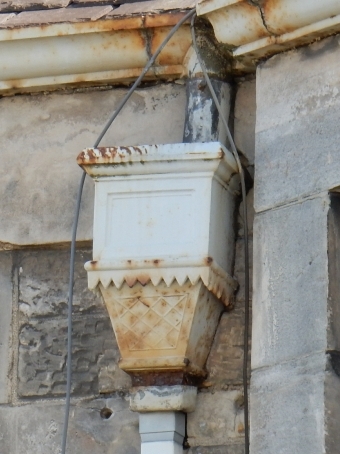 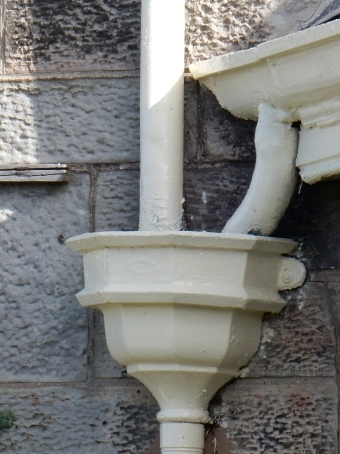 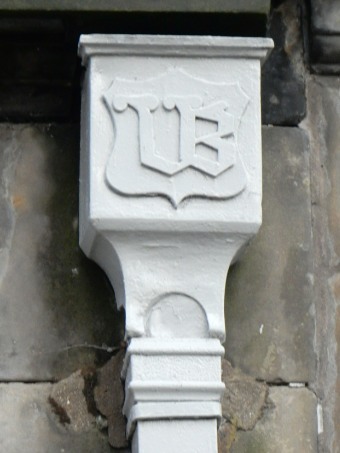 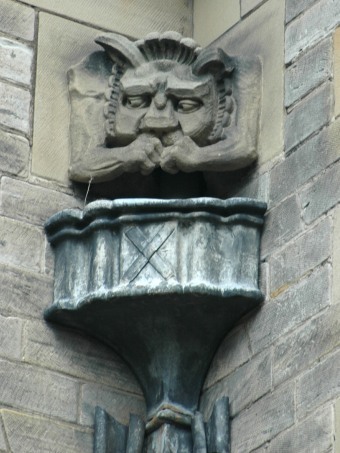 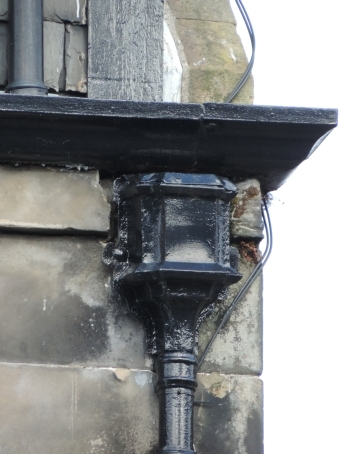 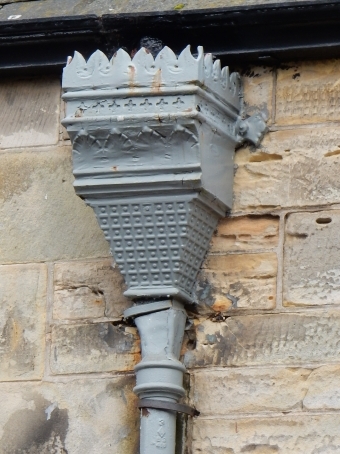 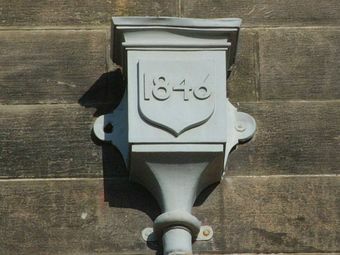 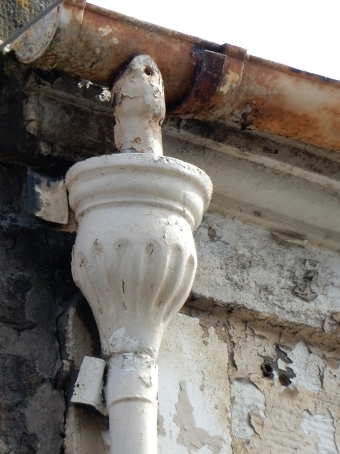 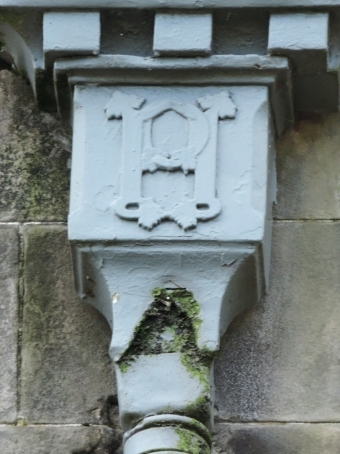 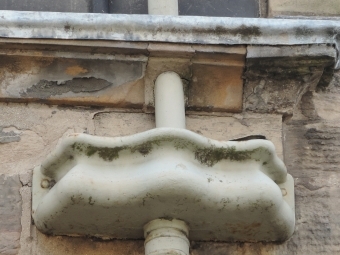 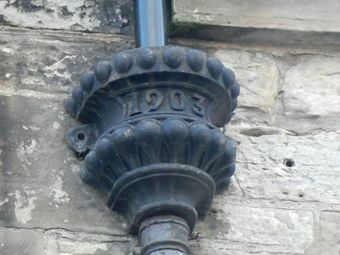 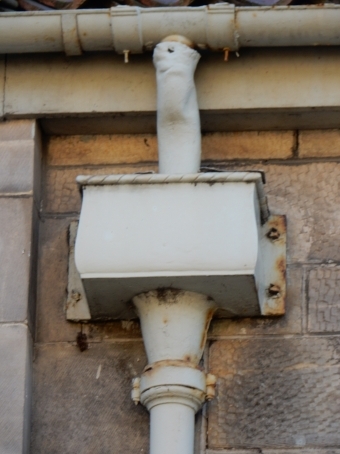 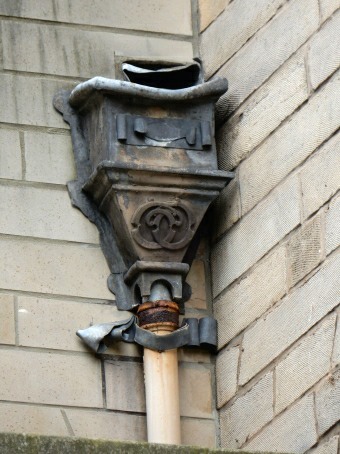 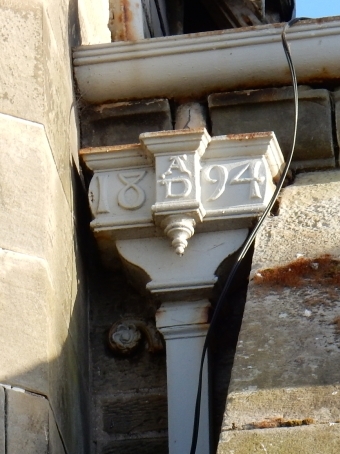 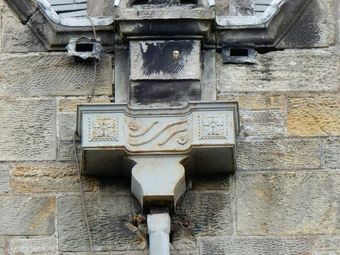 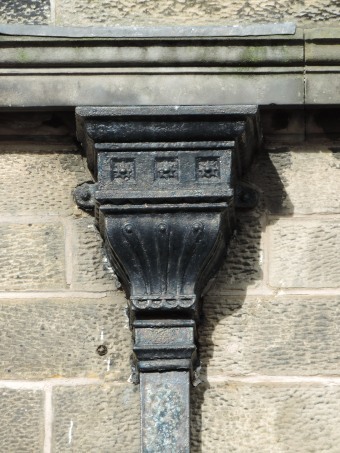 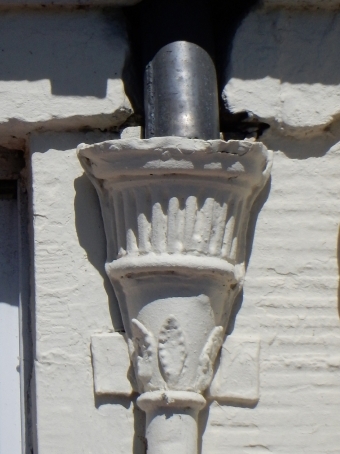 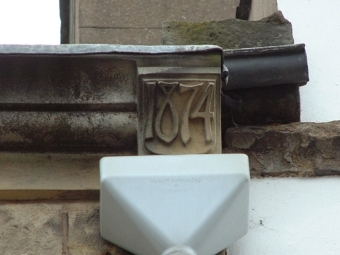 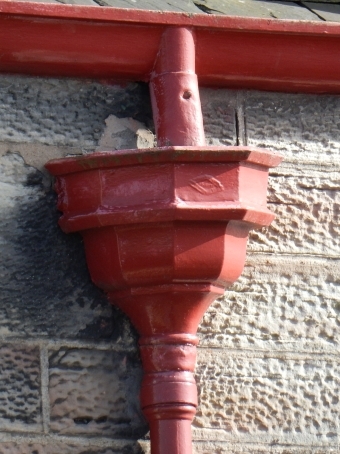 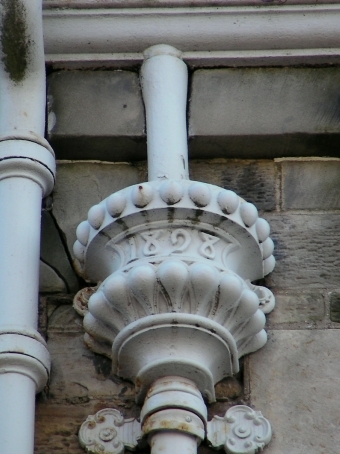 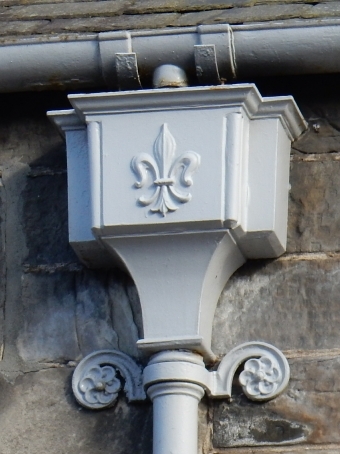 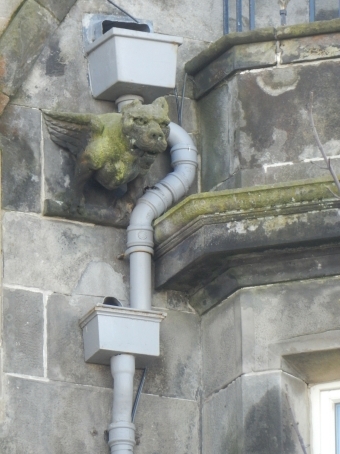 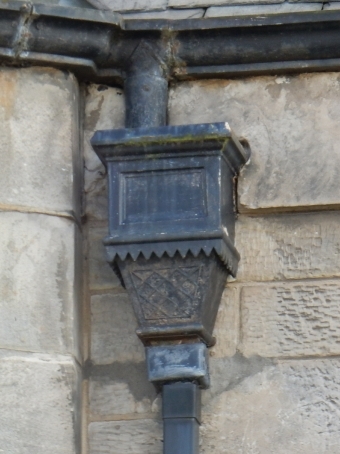 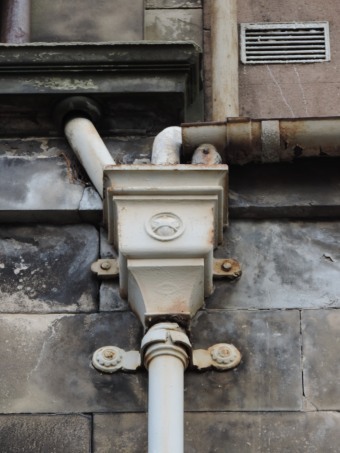 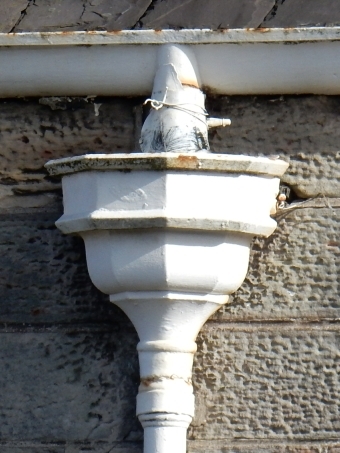 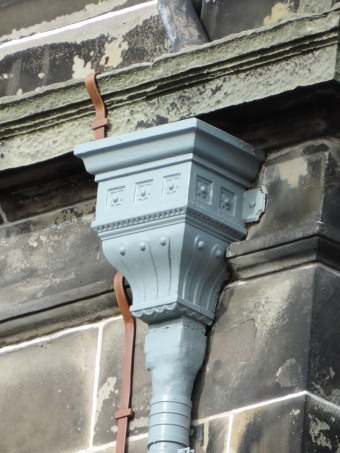 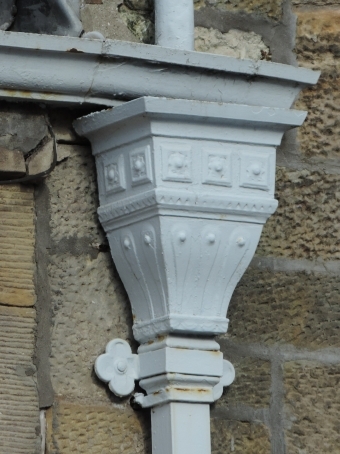 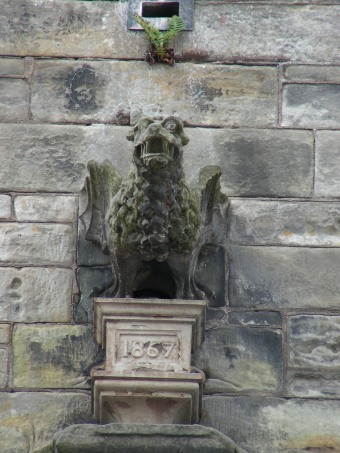 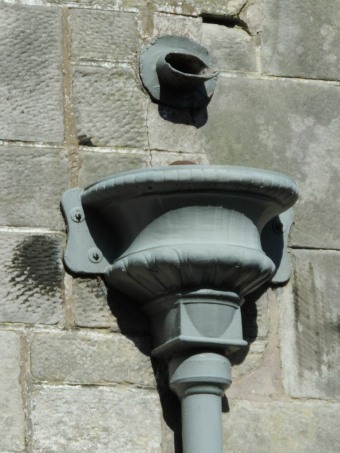 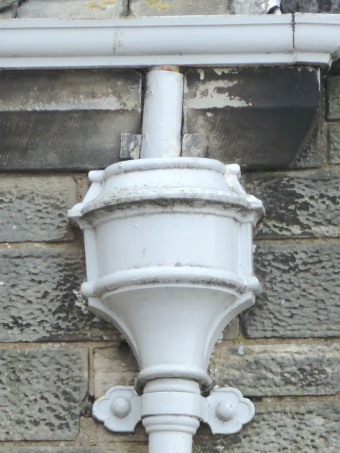 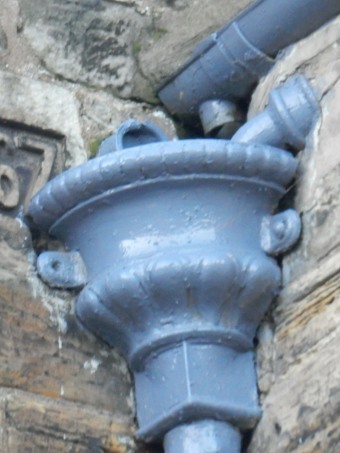 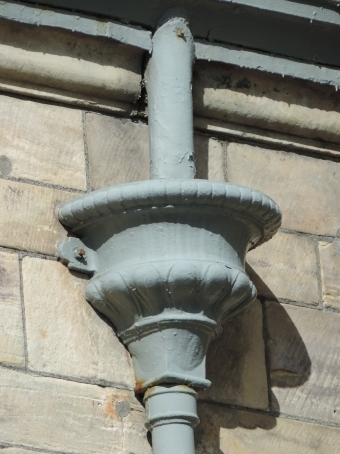 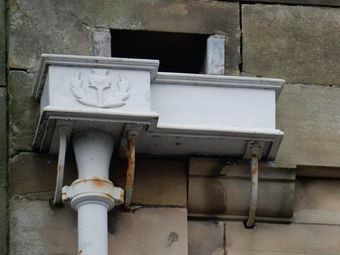 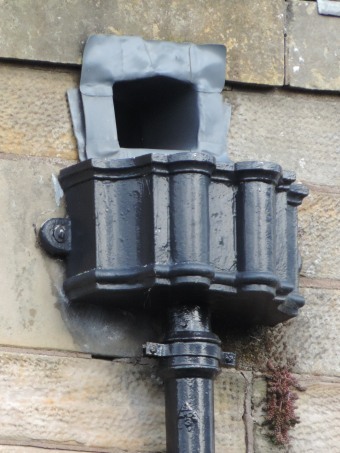 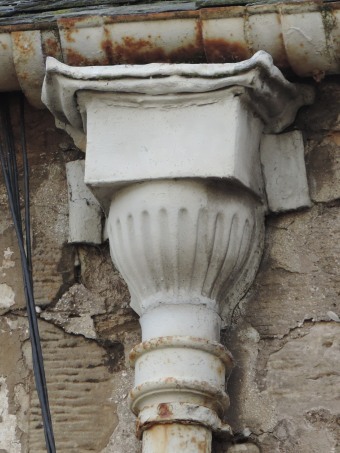 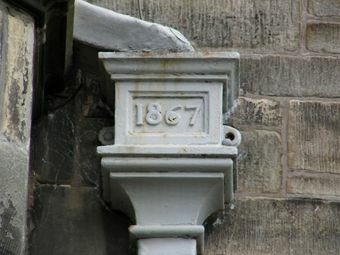 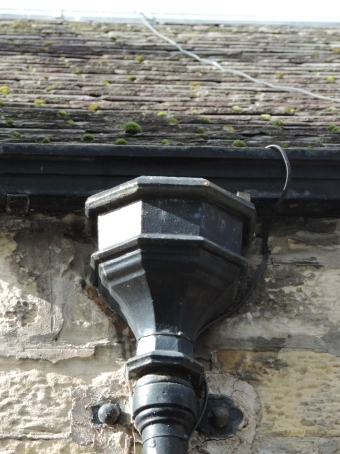 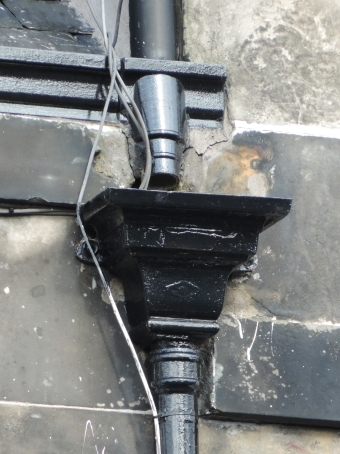 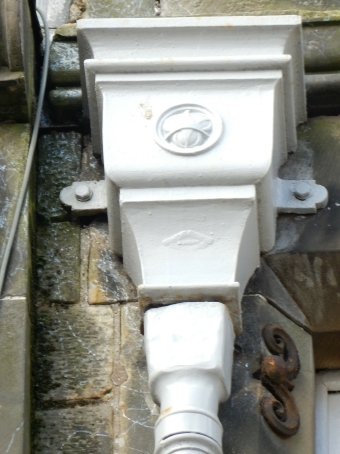 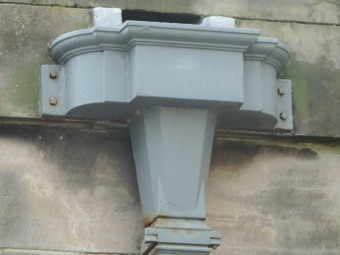 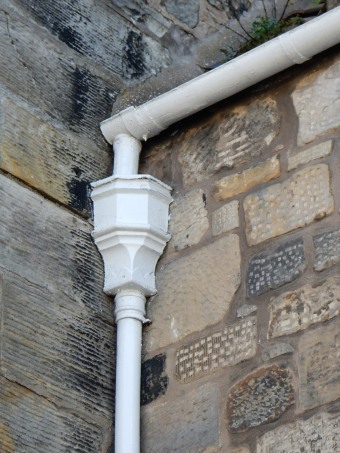 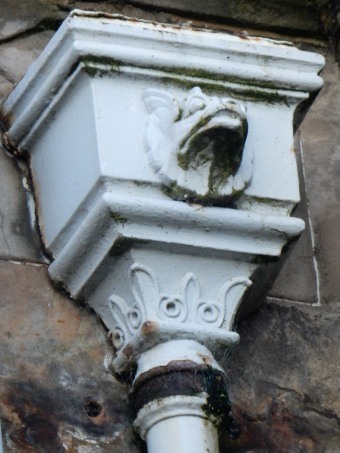 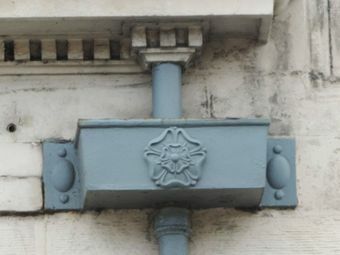 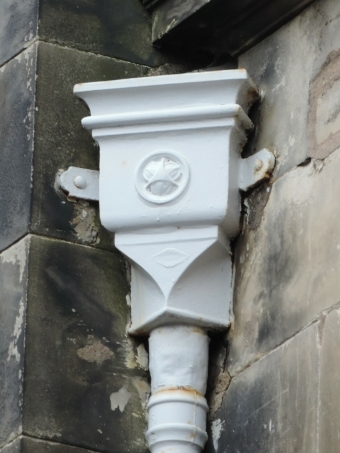 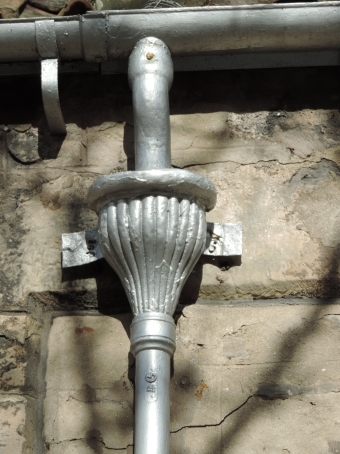 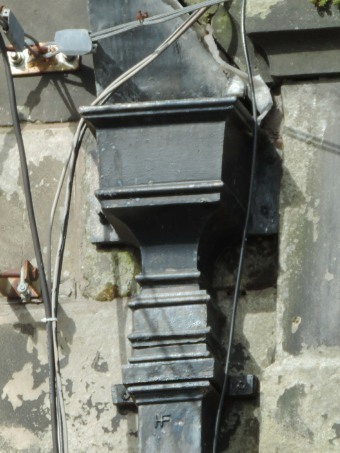 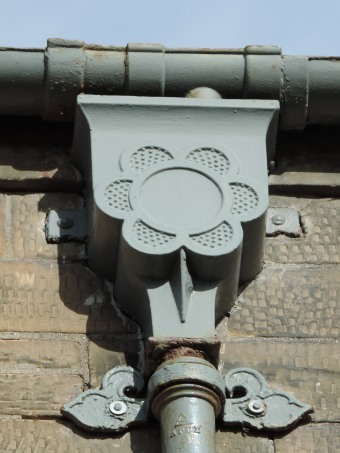 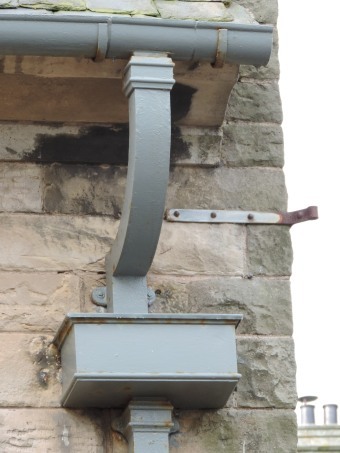 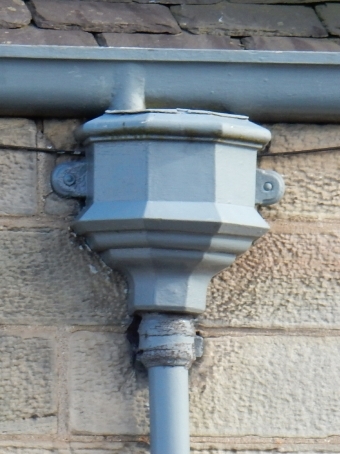 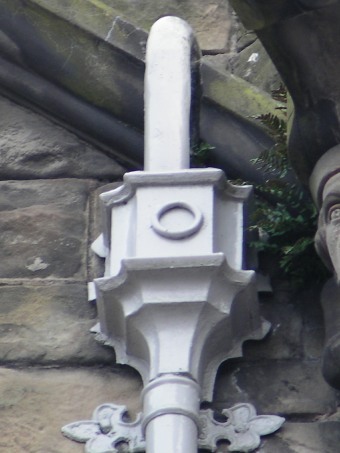 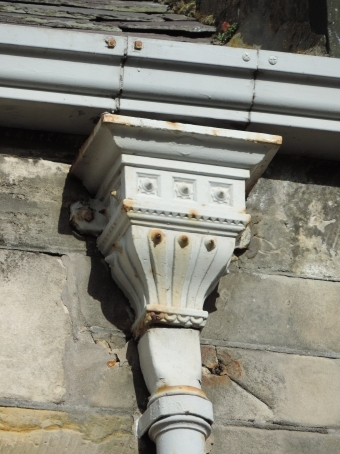 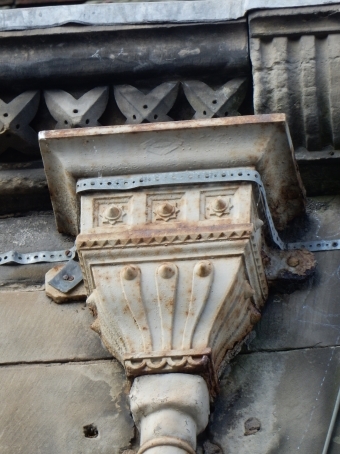 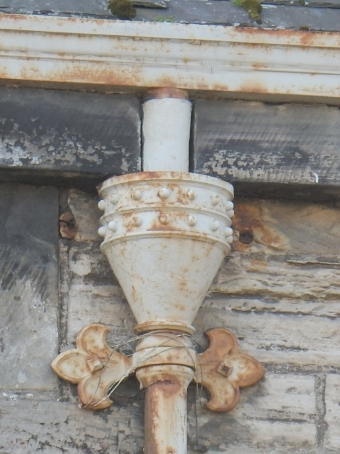 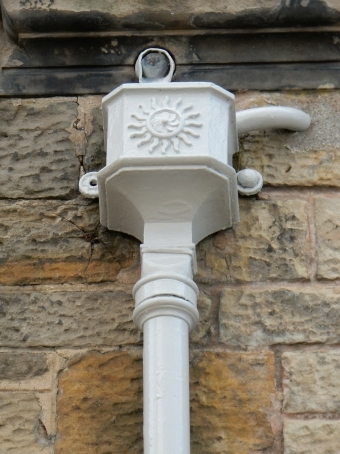 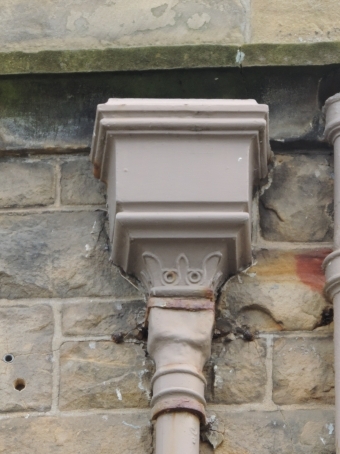 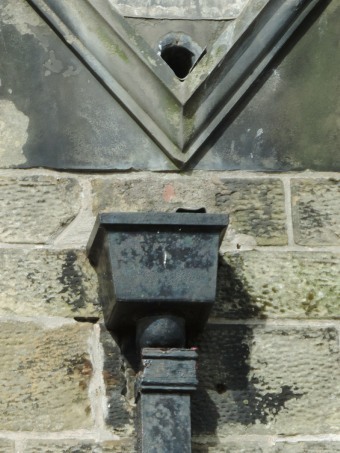 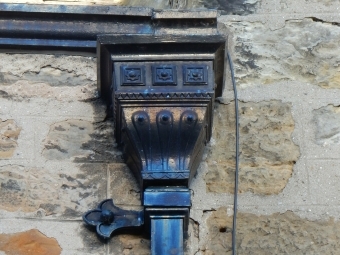 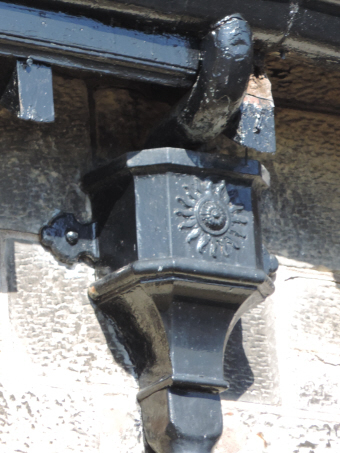 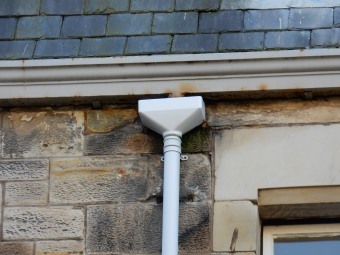 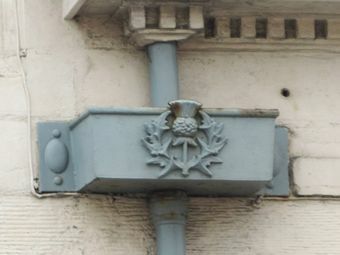 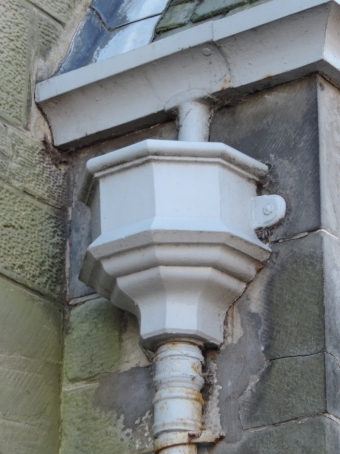 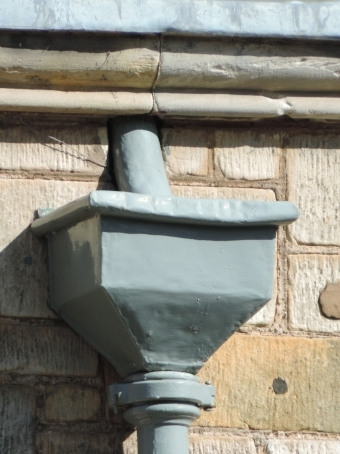 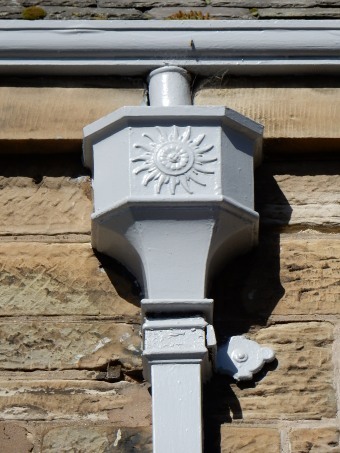 Unsurprisingly many of the buildings in central St Andrews have rainwater hoppers in a wide variety of styles.